WHO I FISHED WITH: This past Thursday morning I fished with Mr. David McElyea and his 9-year-old grandson, Landyn, as well as David’s friend, Mr. Dennis Fender, and Dennis’ 15-year-old nephew, Rion Pagel, who, by the way, had never been fishing before. 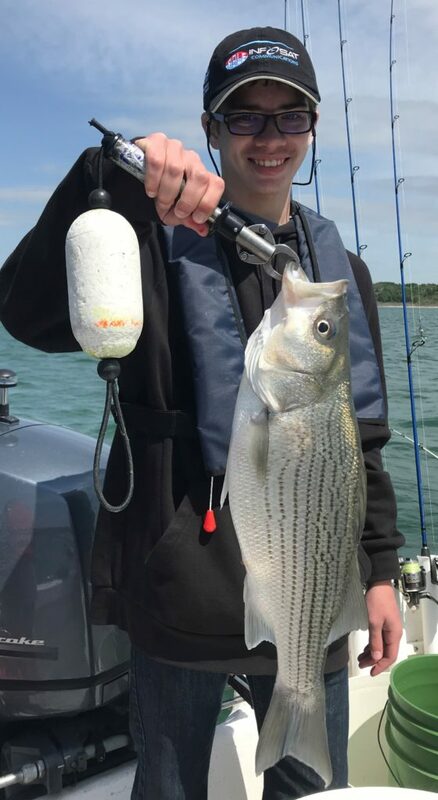 With one young angler and one inexperienced angler, I wanted ‘priority one’ to be getting a few fish in the boat, so, we spent about 75 minutes in pursuit of white bass using artificials. 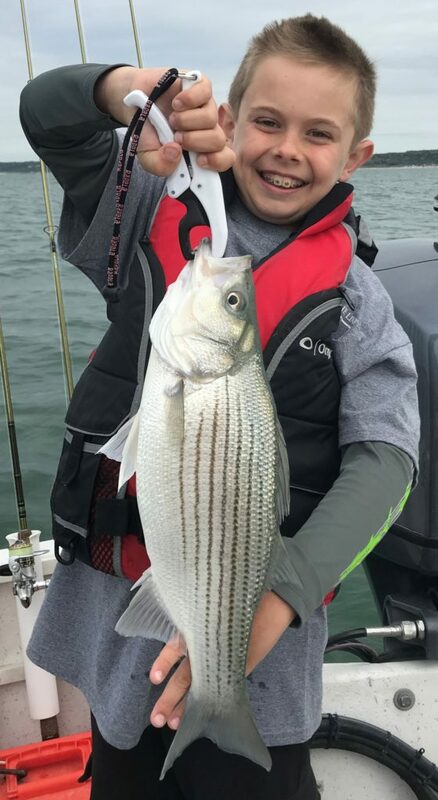 Then, our aim was to get Landyn his first hybrid striped bass. As it turned out, everyone caught several hybrid, and some good sized ones, at that. Mission accomplished! Landyn caught the first hybrid of his life. Later, Rion, who had never landed a fish before in his life, landed the largest fish of the trip. HOW WE FISHED: We targeted white bass in shallow water (under 26′) during the low-light time from 7:45 to around 9:15a using 3/8 oz. white slabs with Hazy Eye Stinger Hooks attached. Once everyone had landed a handful of fish (20 total), we packed up and headed out in search of hybrid using live threadfin shad. The bite is still far from what it will be once we get warmer water and more stable weather, but, that action was steady if a bit slow. 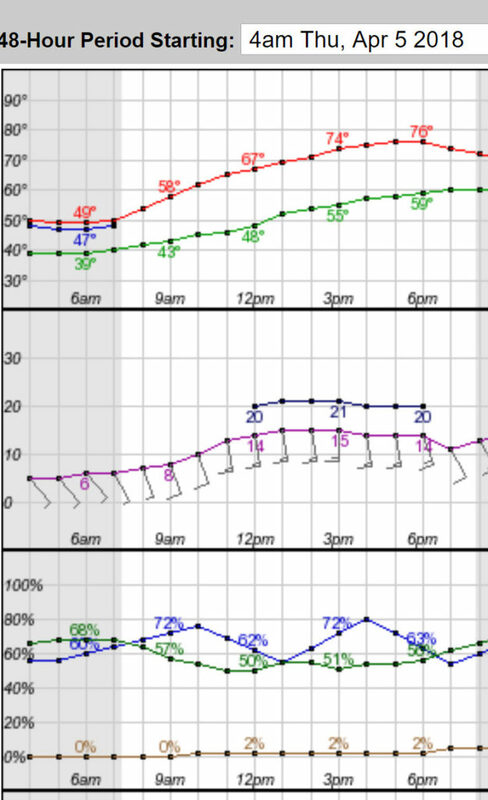 OBSERVATIONS/NOTES: 1) Once again, no spawning shad after seeing the first spawning activity yesterday — likely due to the north wind which once again knocked our temperatures back overnight Wednesday into this Thursday morning – 49F.